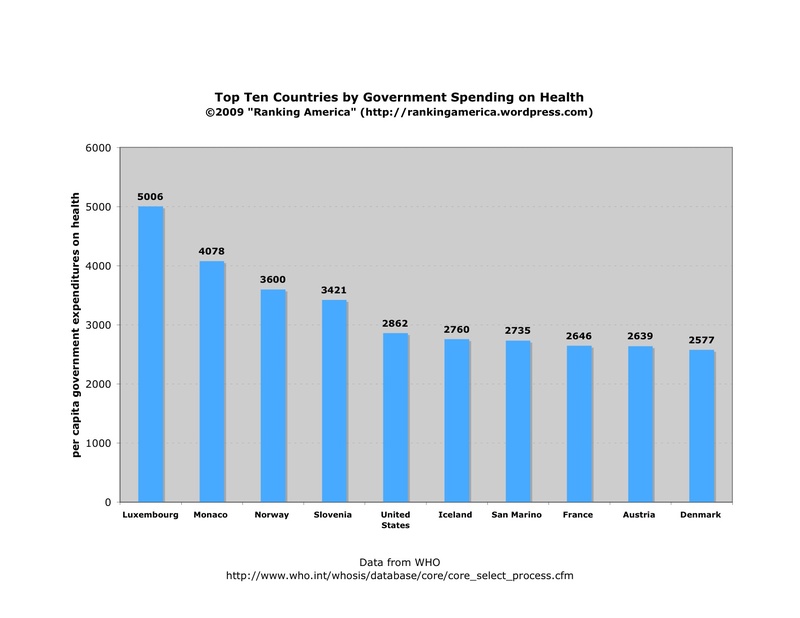 According to the World Health Organization, in 2005 the United States’ federal government spent $2862 per capita on health, an amount that made the United States rank fifth in that category. Luxembourg ranked first, with a per capita government spending of $5006 when measured in purchasing power parity (PPP). 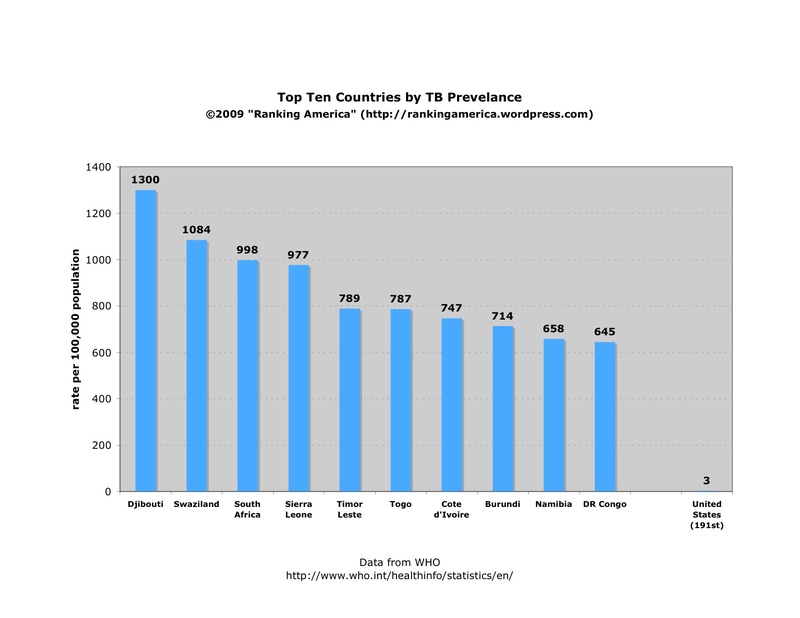 According to the World Health Organization, in 2006 the United States had a tuberculosis prevalence rate of 3 per 100,000 population, which made the United States tied for one hundred and ninety first with Iceland (out of 193 countries) in that category. Djibouti ranked first, with a rate of 1300 out of 100,000. Monaco ranked last, with a rate of 2 per 100,000.